It’s incredibly difficult to narrow down several hundreds (thousands?) of hats worn over eight decades but I think you have done and excellent job with this group. Numerous hats here are known by a nickname (surely a sight of distinctive excellence!) or by naming the event they were worn to. I’m curious, dearest readers- what do you think of your list? Are there hats here you don’t think should be included? Is there are particular hat you think has been unfairly omitted? I think this must be a good selection to fulfill the “iconic” brief, in that virtually all these hats are ones that are familiar to me, and often ones I recognise in terms of occasion etc, even though a number pre-date my birth. It’s certainly been a fascinating exercise – many thanks. Interesting, in that it covers most of the big personal events of her life. I’m interested in the 25th wedding anniversary hat… maybe not iconic but does anyone know what she wore to the 40th/50th/60th wedding anniversaries? Also the Australian hat from 1954 is one of my all time favourites. How do we know he colours of it, id love to see a colour photo! Among the guests was Queen Fabiola, wearing an interesting headpiece. It’s fine- there are so few good photos of this hat. I’d love to see a colour one myself! At we get the colors from the written description and a view of the translucent brim. “Weeping women,” wow! Can any of our Aussie friends comment on whether this report was overly dramatized? Thanks for posting these, Jimbo! Jimbo have you by any chance tried the New South Wales archives ? Australia are terrific at putting all their stuff on line from military service papers to Royal visits 😐 I’m a techno duck but I thought maybe you could get some answers ! Just a thought ! Nonie, I have tried in vain to find anything. I wonder if Mcncln, who lives in Sydney, would possibly have access to archival materials down under. Maybe Government House, where the garden party took place, has some information. I’ve unearthed one other photo from that garden party, but alas, it is blurry, and HM is shown in the distance. This mystery hat is probably tucked in the rear of her closet, collecting cob webs! So sorry to fail you! Oh Jimbo ! You certainly didn’t fail … you’re the bright spark on this site who always comes up with “the goods” 😊😊😊 I just thought the archives might be of use to you ! Thank you, HatQueen, for pulling together this fascinating poll. While these aren’t all the most beautiful hats the Queen has worn, they seem so quintessentially her! What an interesting and representative gallery of important “iconic” hats. Chapeau Queen Elizabeth for your steadfast promotion of hat wearing, chapeau milliners and chapeau HatQueen for collating this marvelous collection.. The Wedgewood hat continues to perplex me and I don’t understand how it’s iconic for so many people, but I guess I am in the minority. A good list, but it features so much blue, which makes me a bit sad more colors aren’t represented (I would’ve included the Day-Glo green Trooping hat by RTM as it launched a thousand memes haha). This series of discussions was fabulous and I learned a lot from my fellow commenters. Thanks to everyone, especially HatQueen for facilitating! I think you will find that the pink hat with bells at the back is a Freddie fox hat. Hi Peggy, this post will explain how I confirmed it’s a Simone Mirman. Oh I really like so many of the early ones…remember most of them. The early hats in general seem more ” relaxed” than present day. Wish her designs would revert back to the earlier ons at least a bit. Although I don’t find it attractive, the most iconic hat for me is the yellow silk worn to the investiture of Prince Charles. Everyone knows this hat (partly because it’s so unattractive, I’m afraid). All hats above, however, are iconic in that they all remind one instantly of Queen Elizabeth. Wies, an ABC London article from June, 2018 stated that HM has worn +/-5000 hats in the last 50 years. That’s an average of 100 hats per year, with no repeats! That is a very generous guesstimate, don’t you agree? Here’s an interesting Friday Fun-Fact article, written in 2016. Most of the information is not new, but still interesting. Thank you Jimbo for an interesting article, I really enjoyed it! 1. The spaghetti hat. I just love love love this. 3. The purple feather fascinator from the wessex wedding (so jubilant and so rare for her to wear a fascinator, and more peppy than the olympics fascinator). The best hat EVER is the pink swirl! I LOVE IT…LOVE IT…LOVE IT!!!!!! My least favorite is the Diamond Jubilee white hat as it has always looked out of balance and I just have no love for it at all. A fabulous selection and I am on board with practically every one! Are you planning a poll… that would be fun to see which one comes out in top!? For me; no contest. The beautiful delphinium blue from the York wedding. What a fantastic gallery of hats! 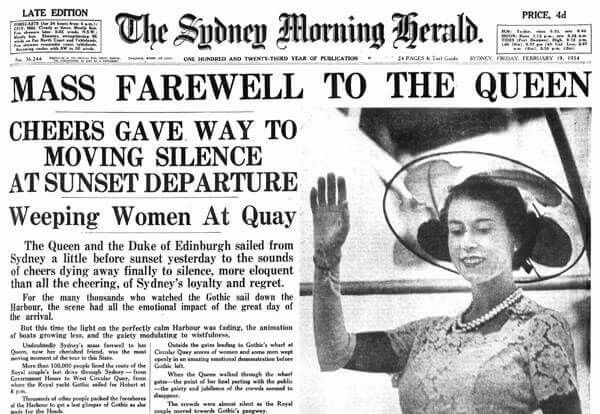 Is it too bold to say that Q E II is the monarch, or even the lady who has worn the greatest number of hats on earth? Or at least, hats recorded by fotographers? I think you did a beautiful job HatQueen! I leave it to others to comment on what hats should be added to this roll of honour – I am not familiar enough with Her Majesty’s wardrobe during her long reign.